Given these possible changes, the new energy strategy will require significant investments to reduce the share of carbon-intensive power plants and increase the share of low-carbon energy. While Polish energy infrastructure has been modernised, further investments are needed to strengthen integration with neighbouring markets. 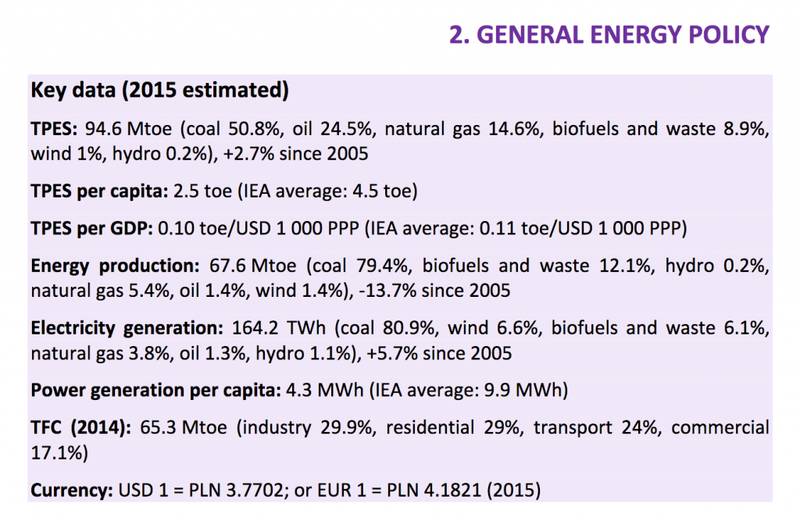 In this context, this latest IEA review of the energy policies of Poland examines the present landscape and makes recommendations for further improvements – recommendations that are intended to guide the country towards a more secure and sustainable energy future.